On Saturday, May 9th, Fright Night Theatre hosted the Canadian Premiere of Billy Pon's controversial killer clown horror film CIRCUS OF THE DEAD in Hamilton, ON. 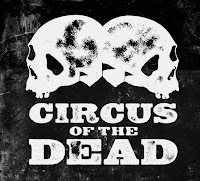 Circus of the Dead's tale of a marauding troupe of sadistic circus clowns led by the deviant Papa Corn on a violent murder spree through West Texas was the center piece of a night filled with games and gore and the creepiest clowns this side of your nightmares. Creepiest Clown winner Ann as her sinister, sledge-hammer wielding alter-ego "Sissy the Clown"
To celebrate Circus of the Dead's Canadian debut, Fright Night Theatre infused the Staircase Theatre with a creepy carnival atmosphere by inviting audience members to attend in clown makeup to compete for the title of "Creepiest Clown" at the end of the evening. Attendees could also test their luck at one of our two prize games sponsored by Fangoria Magazine. The night's films kicked off with the North American theatrical premiere of the short film Clown & Out. 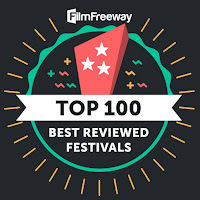 Directed by Tom Lox, Clown & Out begins with a whimsical clown (Trev Flemming) trying to brighten up the urban streets of England with magic tricks and silly antics only to be met with fear and disgust. Things are not what they seem, however, as a mid-point transition takes the film on a dark turn that reveals the true reason this particular clown has been eliciting more screams than laughs. Clown & Out is equal parts funny and disturbing. 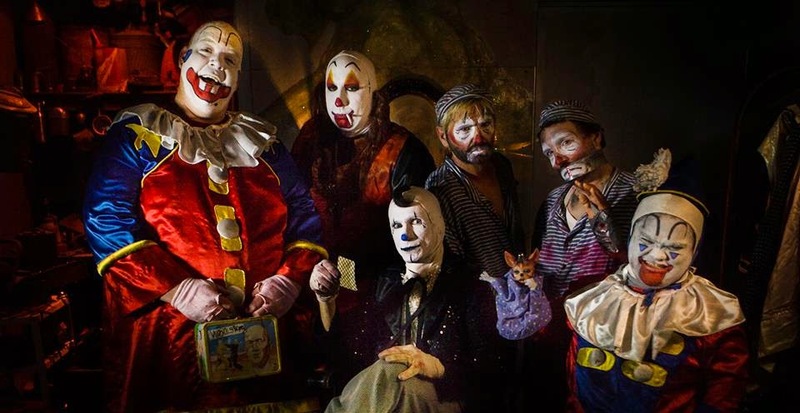 Following Clown & Out, we amped up the disturbing levels with the Canadian Premiere of Circus of the Dead, a nasty but darkly-amusing homage to Texas Chain Saw Massacre style violence with a despicable yet charming cast of hell clowns. If the audience wasn't afraid of clowns already, Circus of the Dead made sure they'd never look at a circus the same way again. Our audience was as disgusted as they were delighted by Bloody Billy Pon's big screen shock treatment of gore and greasepaint. Fright Night Theatre was certainly not the place to be Saturday night if clowns give you the willies. A number of our attendees turned out rocking full-on clown costumes and makeup. Although "Sissy the Clown" won our Creepiest Clown contest by audience applause, everyone deserved a big pie-in-the-face for their creative and disturbing clown costumes. 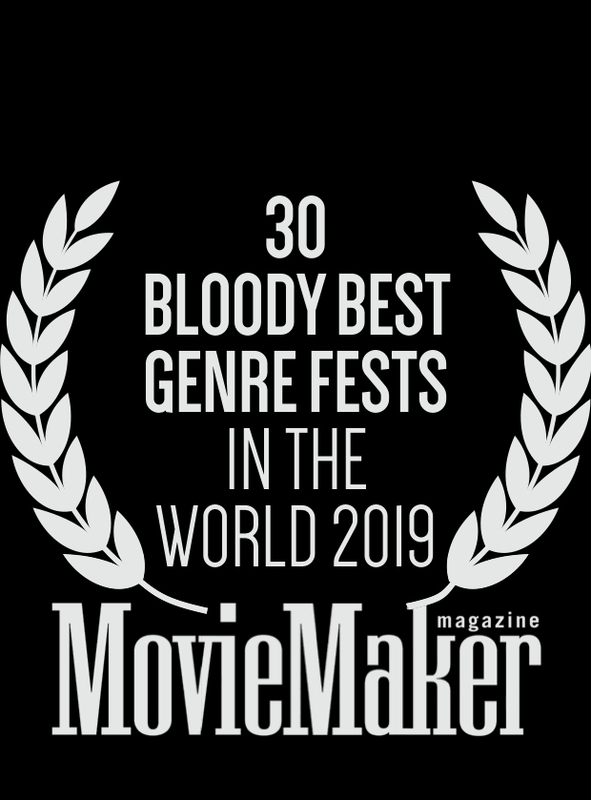 Fright Night Theatre would like to thank our sponsor Fangoria for their support, and we wish Billy Pon and his cadre of criminal clowns all the bloody best as they continue to shock audiences across world. 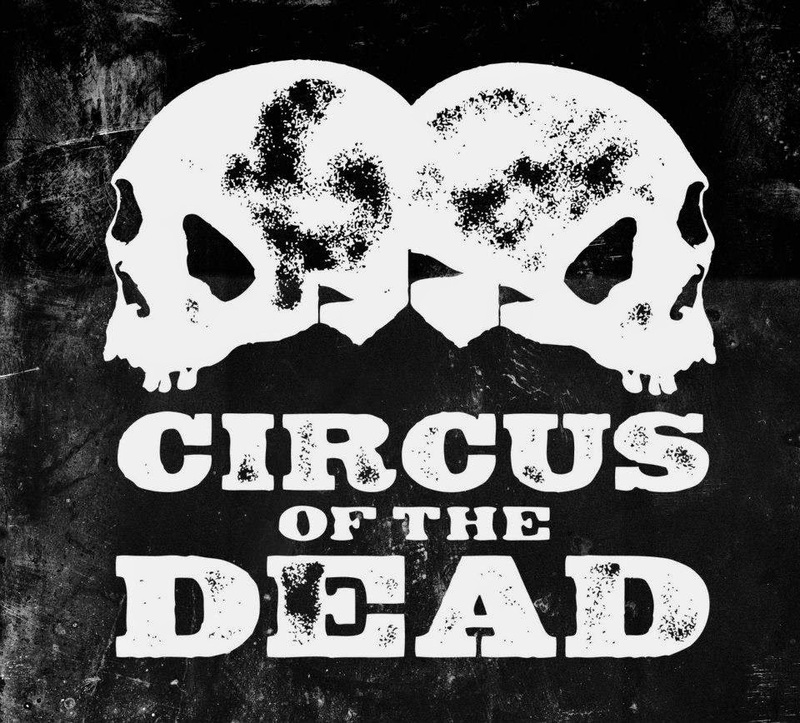 To find out if Circus of the Dead is screening near you, visit the official Facebook page for news and other ghoulish goodies.